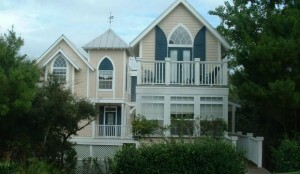 Just listed charming 30A home! Located in the community of Calypso Pointe on the west end of 30A this home features 5 bedrooms, 4 bathrooms, carriage home, hardwood floors throughout, community pool, gated entrance, deeded beach access, and 2,261 sq. ft. of heated and cooled space. Just a short walk to the beach and all the shops and dining of Gulf Place, this 30A home has a strong rental history at over $50k annually! Contact us today to schedule a private tour of this 30A home. Contact us at The Beach Group at 850.231.9007 for more information on Scenic 30A West real estate.